NIH is soliciting comments with regard to diversity in the biomedical work force. It’s due in the next week or so. I’m working on something. I seem to have been pinged in the Versatile Blogger meme by Frau Tech. I appreciate the nod, and suppose I should make some attempt to participate. Have never bought a car (but do drive a lot). Every university that I’ve been affiliated with has basically the same school colors. I have heard the same basic sentiment spoken and written elsewhere. Blacks do not have the luxury to pursue the ideas interest them. Astrophysics. Chemistry. Math. They have a special responsibility to work of direct relevance to the community. This goes beyond doing outreach work on the side. It means that if you’re interested in bashirology, you should make sure that it’s somehow “black bashirology” or “bashirology of the African-American experience” or something like that. Doing work like astrophysics is frivolous. Given the historical situation of African-Americans that opinion is understandable. It’s kind of a talented tenth type of thing. The intellectually well-to-do ought to put their intellectual capital directly back into the community. It’s a nice idea if taken in moderation, but is self defeating if taken to the extreme (which some folks do). Obviously I don’t quite agree. Not just because I do a lot of frivolous theoretical work. That attitude hampers black scientists into limiting their engagement with the scientific community. If certain topics are off limits that only makes the work of representation (and outreach) harder. The sentiment I describe is related to more general ideas about justifying scientific work that doesn’t have obvious immediate applications (e.g. curing cancer; see my prior post). Thankfully, Neil got past that, went into astrophysics and still found time to do a lot of great outreach, particularly with NOVA. As someone who watched a lot of science programing on PBS as a kid, having a black scientist as that person is quite a coup and I think a pretty good use of his intellectual talents. Scott’s interest in ornithology and natural history began as a child growing up in Riverdale, Bronx, NYC, where he undertook his first job in environmental science working for an environmental institute called Wave Hill. He received his undergraduate degree from Harvard in 1986. 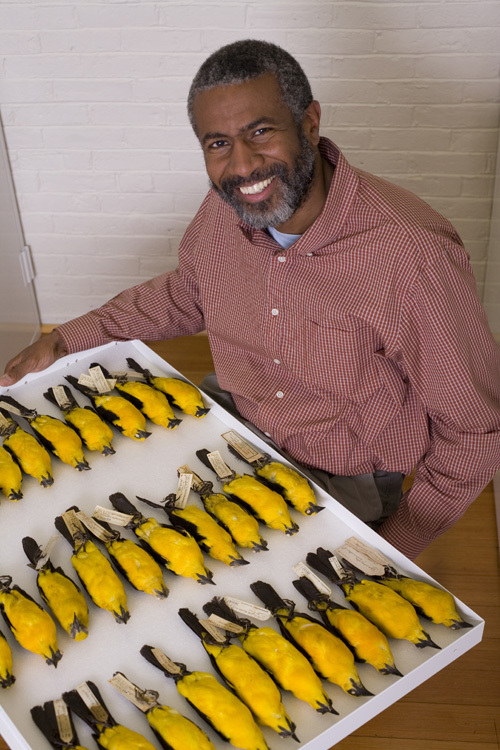 As an undergraduate, Scott took a year off from his studies to learn what it is biologists do – he spent 6 months volunteering at the Smithsonian’s National Museum of Natural History in Washington, DC, then gained his first field experience assisting with research on the natural history and conservation of native birds in Hawaii and northern California. He returned to Harvard to finish his degree, and enrolled in the PhD program in the (then) Zoology Department (now Integrative Biology) the University of California, Berkeley. During his first year as a graduate student, he spent 10 months in New Guinea and Australia first volunteering in research on ecology of birds-of-paradise and later striking off on his own to embark on what would become his dissertation project, a study combining of the genetics and population structure of a group of cooperatively breeding songbirds called babblers (Pomatostomus) found throughout Australia and New Guinea. He received his PhD in 1992. A fair portion of scientists may find themselves the “only ones” in their family. Holiday gatherings can provide ample practice with you elevator speech. What is it that you do exactly? Some sort of bio-scio-chem thing? With beakers right? My relative is a fairly regular guy without extreme predilections on any direction. He just doesn’t get why we pay money for someone to just…figure things out. He wasn’t meaning to be provocative, he just didn’t get it. What’s the value in trying to figure out anything without clear immediate, important (and lucrative) applications? Why not do that stuff first? As if the ideal situation would be 100% of all scientists working on cancer research (while consulting on the side). 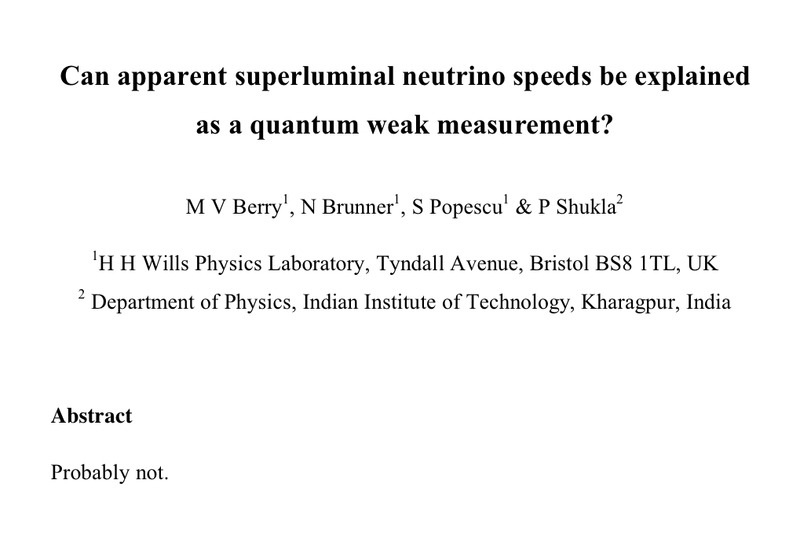 As a person who has been ensconced in science since an early age, that question seems so obvious and ridiculous that of course I stammered though a sub-par answer. I guess engagement with the public begins at home. Perhaps I’ll have to give my “lab tour” talk at next year’s holiday gathering. Do your relatives and friends get what you do? Not in the technical sense, but the broader impact of scientific research (applied, theoretical, and otherwise)? If you follow college football at all you know that this year’s championship game will be between LSU and Alabama, two schools both in the SEC. That guarantees that the SEC will have won 6 college football championships in a row (mostly by different teams). That reminded me of my post from a while back about the south (and the SEC specifically laging academically). The related Chronicle of Higher Ed piece is worth reading, as it foreshadows some of the current conference system break down. That also reminded me to take a look at my list of institutions hiring in my area this year. Many of the BigTen (upper midwest), Ivys (east coat), and other places on the east and west coasts. The southern schools, ACC and SEC? Not so much. The football dominance and academic stagnation (in my area at least) is probably just coincidence? If only my abstracts were to blunt and to the point.